Well, my Christmas shopping this year has been done for a while but I've come across a few handmade gifts that I just love that I thought I'd share as gift ideas. These are all handmade items and they're all for women...sorry, no ideas for men. 1. 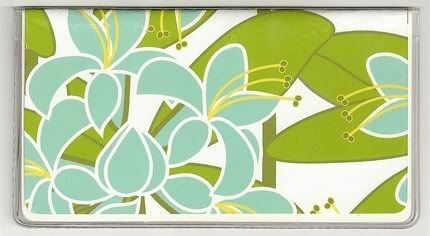 Check Book Cover. My free cover that I've had for about 6 years finally bit the dust a few months ago and I decided to get one of these for myself. One of the few times I've bought something like that for myself. I love it. I don't actually write that many checks these days, but when I do, it makes me smile. The Rabbit Hole sells these for around $6-7 at Etsy. If you're not familiar with Etsy. Check it out now! It's a marketplace for awesome and unique handmade things. I think this would be a great stocking stuffer. 2. Custom Fabric Camera Strap. These are so cute! It's on my wish list for sure. This is another Etsy find. VMJess sells these for $25. She'll do a custom length for you as well. A great gift for a photography buff. 3. Custom Monogram Canvas. Again, I love these. Kim at Small Words creates these beautiful hand-painted canvases that would make such a great gift or a great piece of unique art for your own wall. 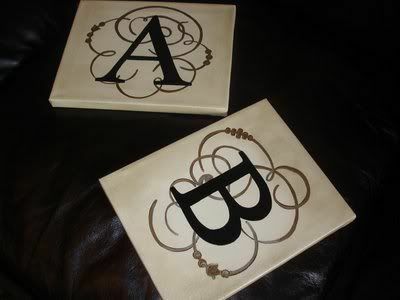 I think the monogram canvases are so classy but her kids pieces are adorable too. Her prices run from $20-95 depending on size. 4. 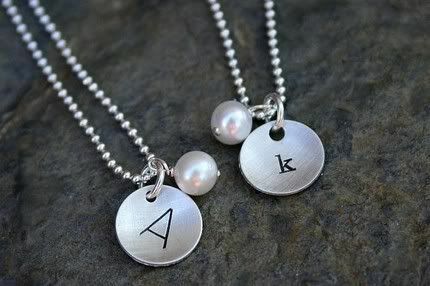 Custom Stamped Necklace. 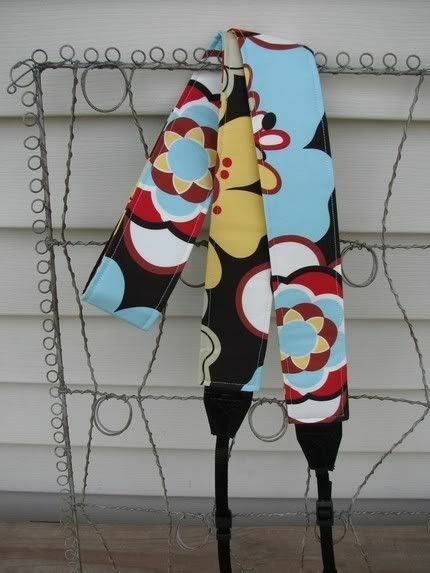 This is a perfect gift for a mom or grandmother. Another Etsy store...The Vintage Pearl. There are other pieces such as bracelets and earrings and more. Sweet, simple, and special. Prices for necklaces are around $25-35. I love the necklaces! Thanks for the idea, Rachel!